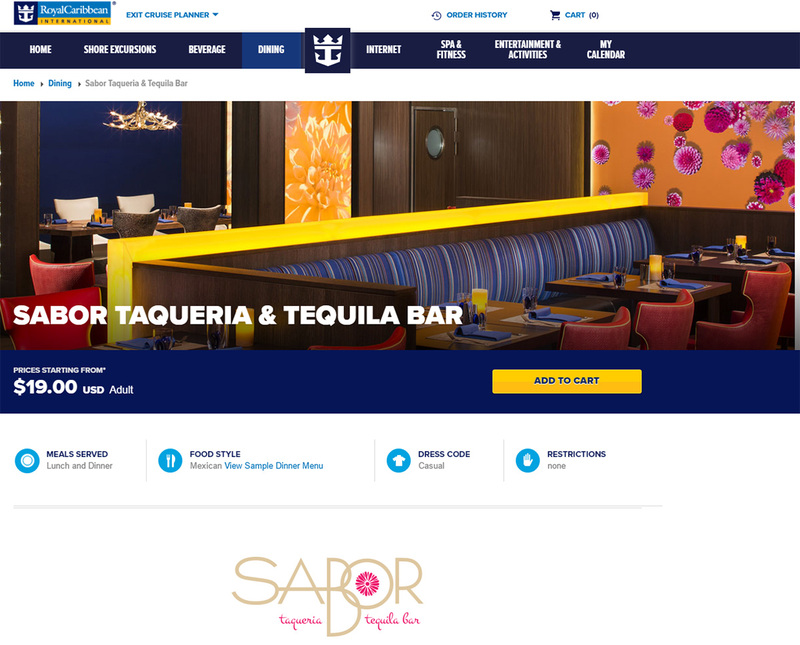 Guests aboard this week's Harmony of the Seas sailing may notice a new pricing structure at Sabor Taqueria & Tequila Bar. 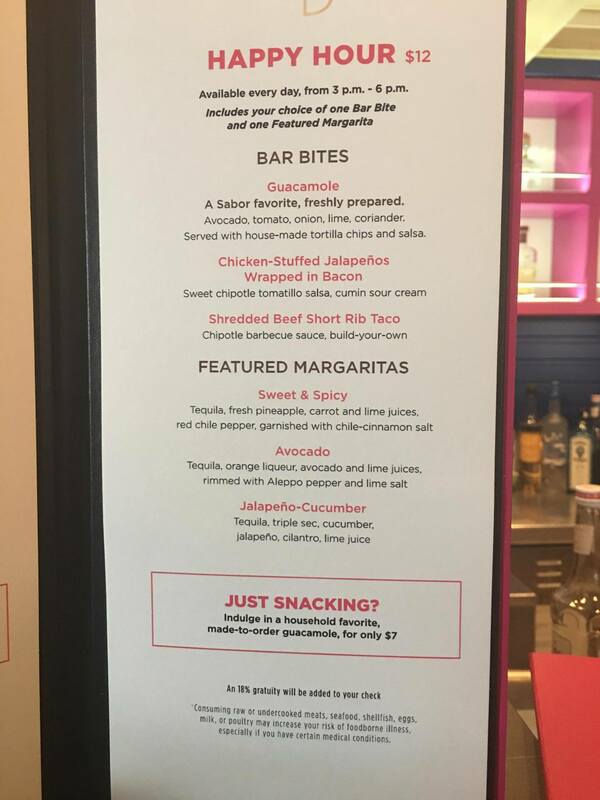 RoyalCaribbeanBlog reader Todd Fagan shared photos of the new menu at Sabor on Harmony of the Seas, in which there is no longer a la carte pricing. 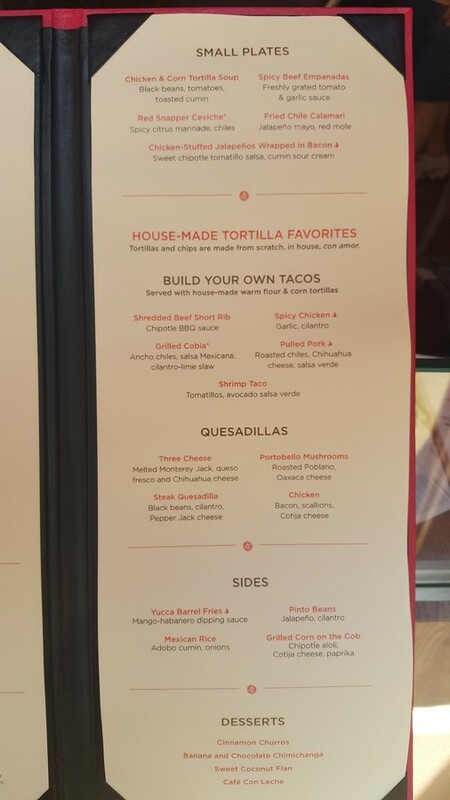 Instead, the menu resembles that of Sabor Modern Mexican, found on Freedom and Voyager Class Royal Caribbean ships, where a cover charge includes all the food on the menu. The new price for lunch or dinner at Sabor is $19 per guest. Todd noted the staff incidcated the price is the same all day, regardless of when you go, and supposedly will be like that for the foreseeable future. They no longer have an a la carte option. Until now, Sabor on Oasis Class ships have always been priced on an a la carte basis. Checking Royal Caribbean's Cruise Planner, we can see the $19 price listed for an upcoming Harmony of the Seas sailing in July. Last updated on April 28, 2017. 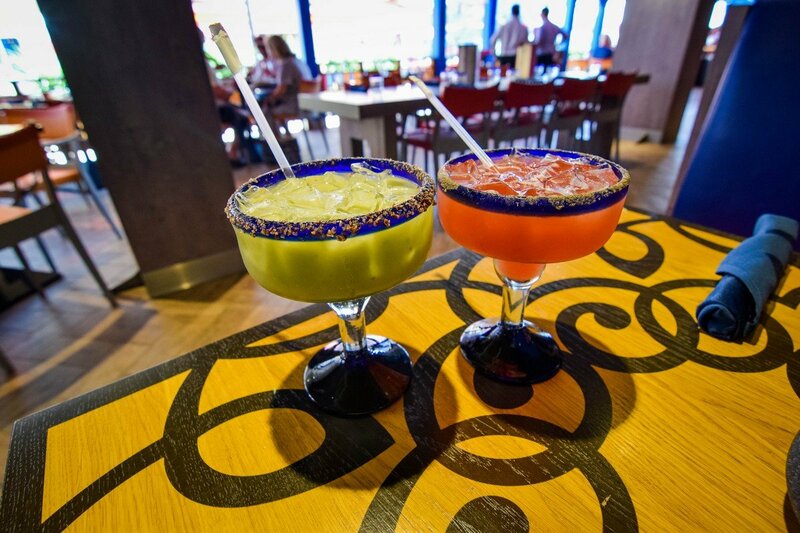 Sabor's classic Mexican dishes are crafted with modern twists onboard Harmony of the Seas. 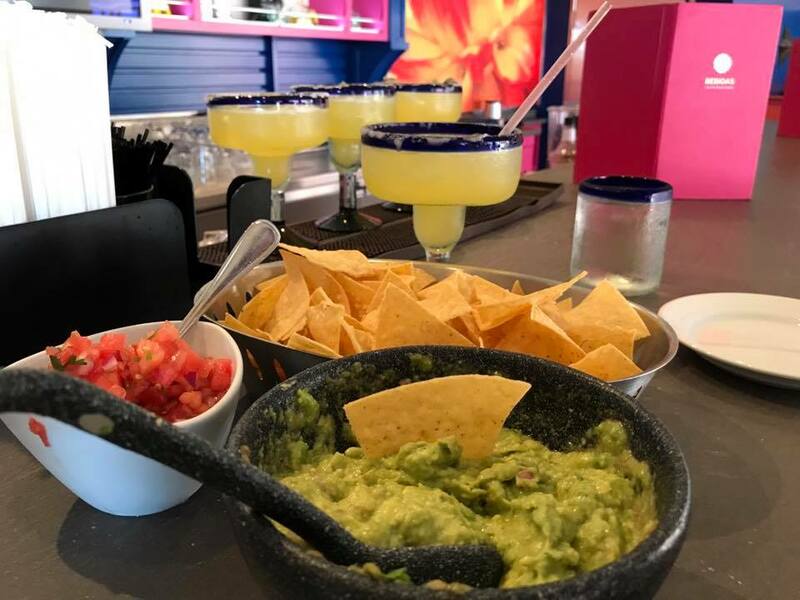 The taqueria and tequila bar offers guests the vibrant flavors of Mexico, including tasty guacamole freshly made tableside, signature margaritas and other traditional cuisine in a festive atmosphere. Don Julio Reposado tequila, juices from fresh pineapple, carrot, lime and red chili pepper garnished with chile-cinnamon salt. Patron Silver tequila, orange liqueur, avocado and lime juice rimmed with Aleppo pepper and lime salt. 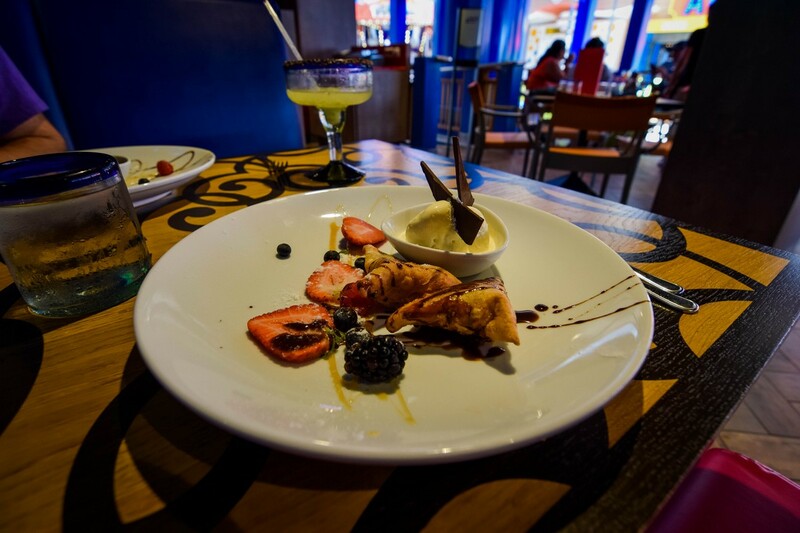 One of my favorite Royal Caribbean specialty restaurants has been Sabor Modern Mexican, which is available on Navigator of the Seas and Freedom of the Seas. 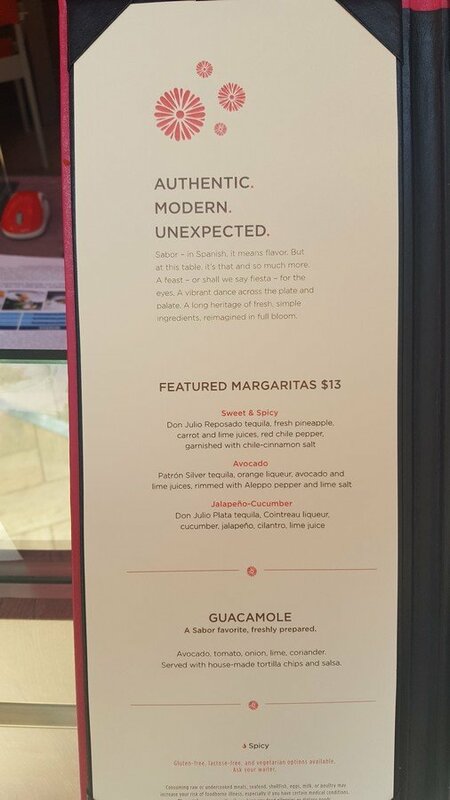 So when I cruised on Allure of the Seas, this was my opportunity to see this slight variation on the original Sabor concept with Sabor Taqueria & Tequila Bar. Unlike the original Sabor restaurants, Sabor Taqueria & Tequila Bar is an a la carte experience, where you pay for only what you order. In addition, there are some menu variations compared to the original. Being a fan of Sabor on other ships, it was not much of a stretch for me to visit Sabor on Allure of the Seas and see if this variation is as good as I remember on other ships. Sabor is located in the Boardwalk neighborhood, having replaced Rita's Cantina in a recent refurbishment. It is across the Boardwalk from Johnny Rockets. Sabor is an open air restaurant, with covered and uncovered dining areas and there is plenty of space too. 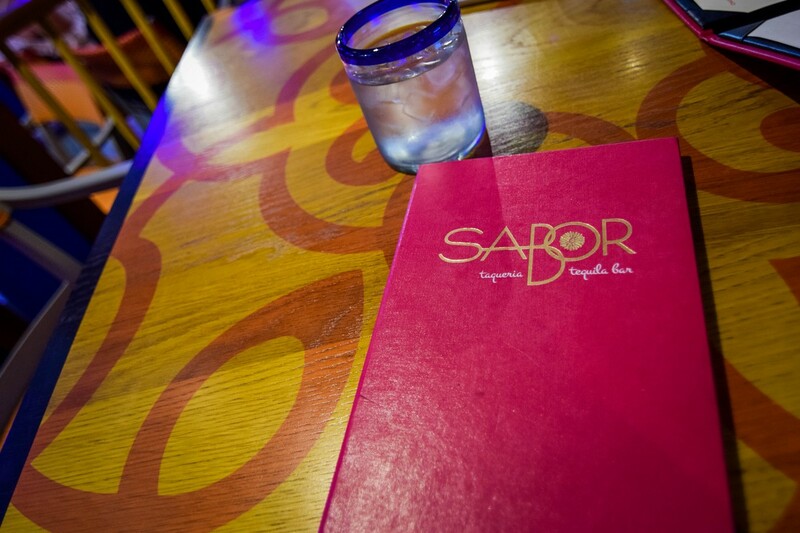 For a specialty restaurant, Sabor offers a lot of dining capacity. Sabor is also one of the more colorful restaurants, with a color motif that differs greatly from Sabor Modern Mexican. On Allure of the Seas, there is lots of light blues, pinks and some oranges. Sabor Taqueria feels more like the kind of restaurant you would find near a beach than Sabor Modern Mexican. Guests can sit at the bar, tables or booths. We visited Sabor about 4 times throughout our cruise (for "research" purposes), and finding an available table was never a problem. The colors of Sabor are quite striking and it is a rather eye pleasing restaurant to eat at. 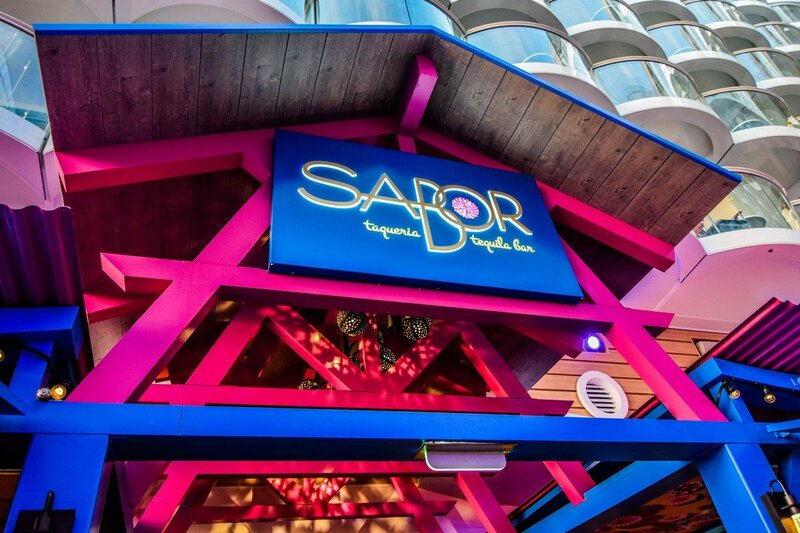 What has historically attracted me to Sabor on any Royal Caribbean ships has been the really tasty food, so I had high expectations for what is served up here. The Sabor Taqueria menu is similar to Sabor Modern Mexican's menu, but not identical. If you have dined at Sabor Modern Mexican, you will find some favorites, but it is not exactly the same. All Sabor menus incorporate traditional Mexican dishes along with more contemporary options. Sabor's food is less about Tex-Mex, and more about serving up authentic Mexican dishes. As you area seated, guests are served complimentary chips and salsa. The salsa is freshly made (nothing out of a jar) and served with tortilla chips that also do not taste like they came out of a bag. 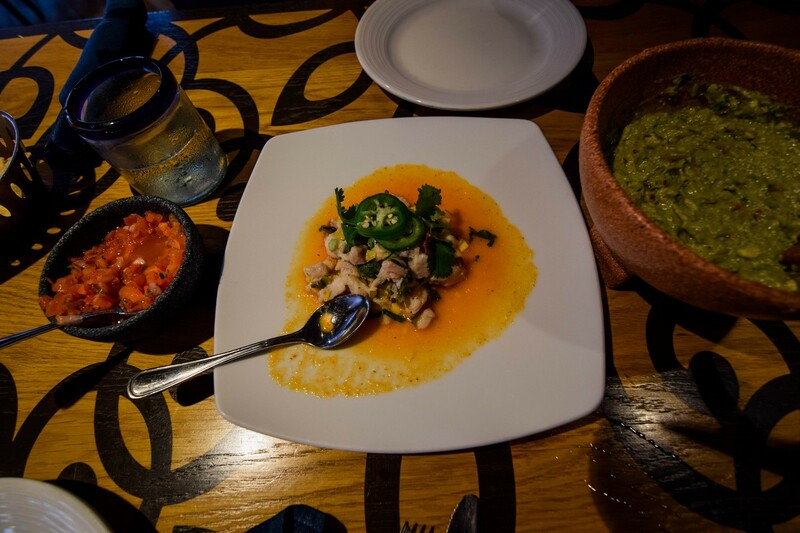 The fact this traditional Mexican starting dish tastes fresh is always a good sign. Sabor has built its reputation on its tableside guacamole, which I always order and recommend. 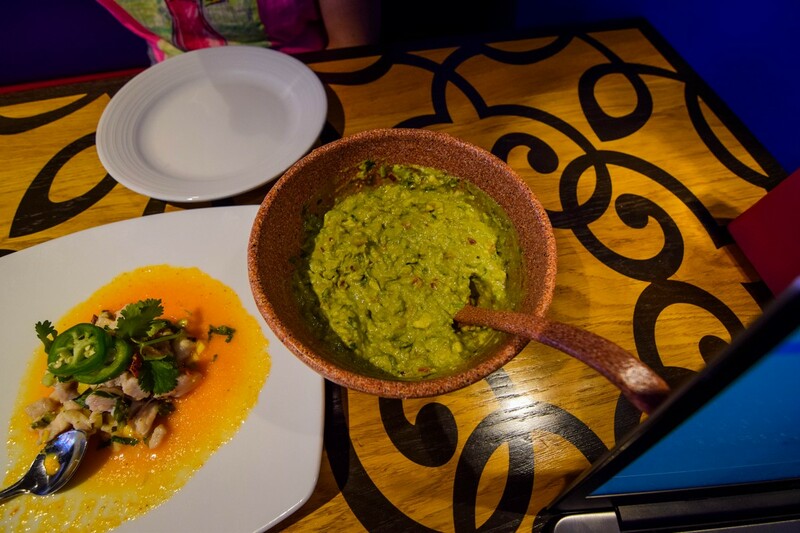 After ordering the guacamole, your waiter will return with a cart filled with guacamole ingredients and will create this delicious dish in front of you and to your specifications (spicy or not spicy, extra lime, etc). My personal recommendation is to ask for extra lime. Sabor also serves up a menu of featured margaritas. Unlike the margaritas at Sabor Modern Mexican, these are not created tableside. While I miss the show aspect of having the drinks made in front of me, nonetheless, they tasted really good and I would definitely rate the avocado and jalapeño-cucumber margaritas as great choices. Speaking of drinks, if you enjoy a good tequila, be sure to consider the tequila flights offered. The horizontal tequila flight is always pleasing and I can tell you from experience that it certainly satisfies. 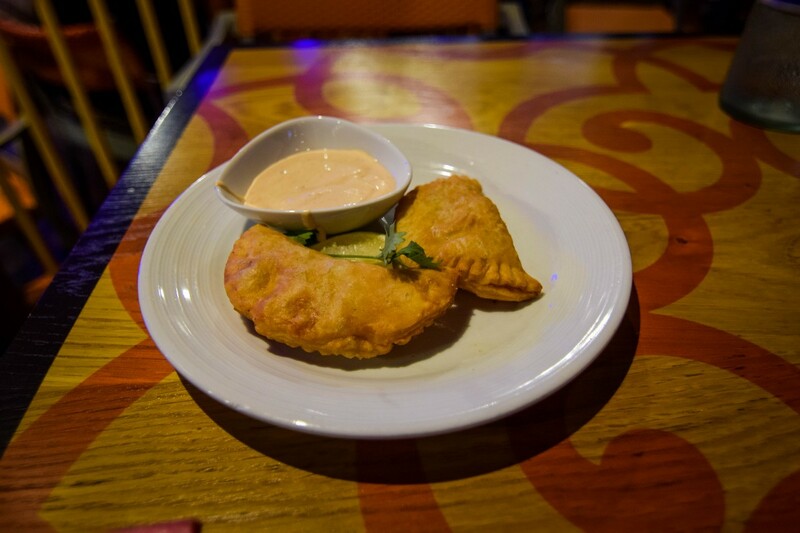 In terms of the appetizers and entrees on the menu, there is a lot to choose from. The Oaxacan ceviche of red snapper was pretty good and the tortilla soup was also quite good. If you like gazpacho (cold tomato soup), Sabor's gazpacho is also quite good. 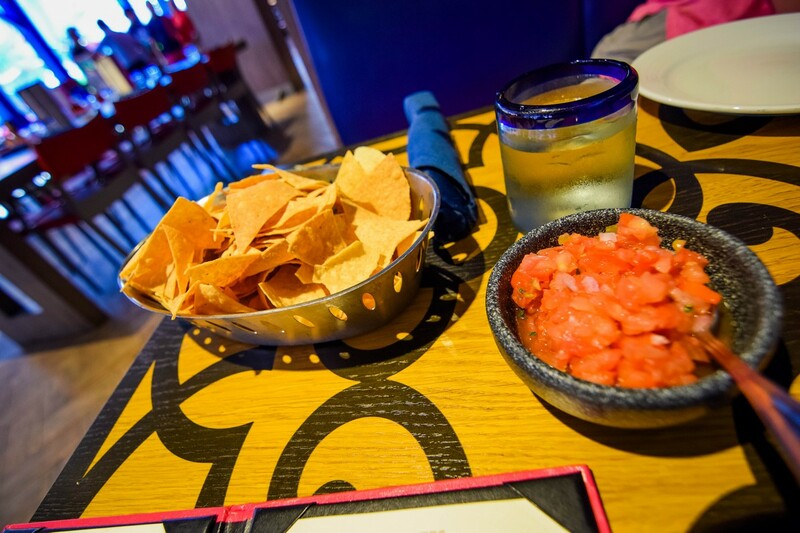 For entrees, you will choose between tacos, quesadillas and the main courses. The tacos and quesadillas are easily shareable and priced quite reasonably ($5 for a plate). My absolute favorite dish at Sabor is the Tuna Crudo tacos. 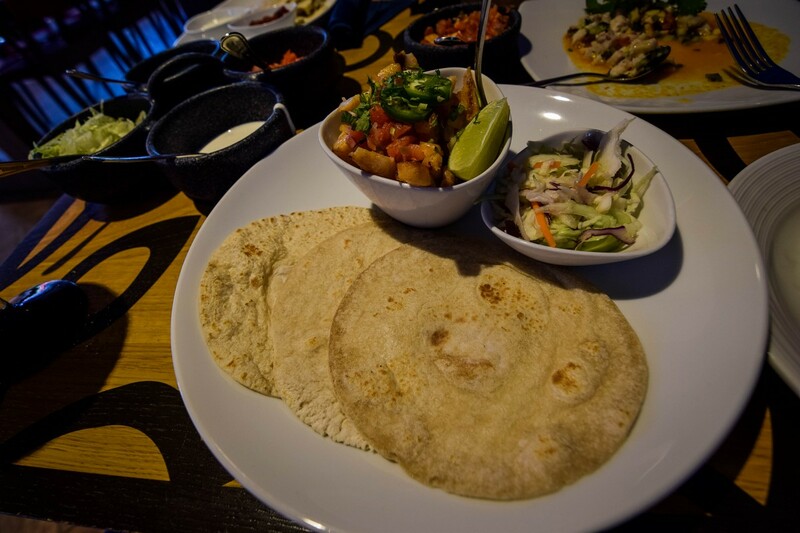 It is some of the tastiest ahi tacos you will ever eat. 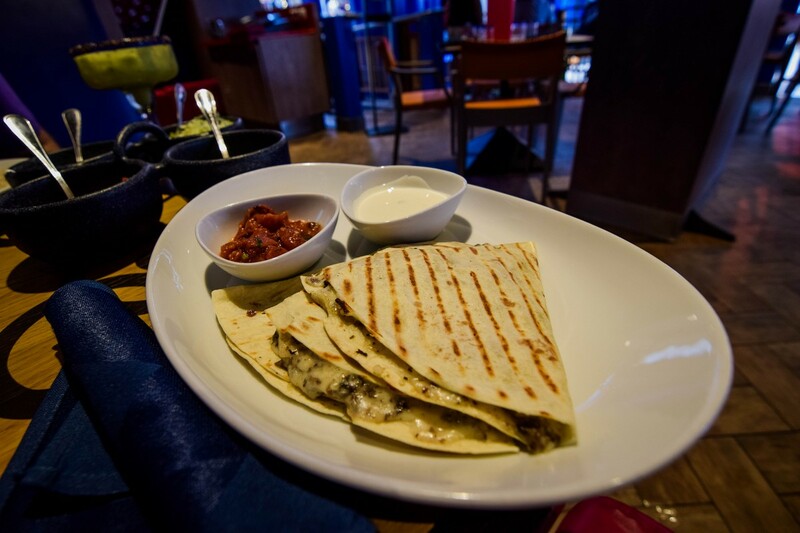 For picky eaters or those that enjoy a good "safe food", you cannot go wrong with the tres quesos quesadilla. It always hits the spot. For the main dishes, we tried the mole short rib and pan-seared red snapper. The short rib was something new that I wanted to try and it was a very tender cut of beef in a mole sauce. For beef lovers, this is your dish. The red snapper was also great as a main course and I enjoyed this more than the red snapper ceviche appetizer. I especially like the mango-papaya salsa it is served with, as it really adds to the dish's flavor. 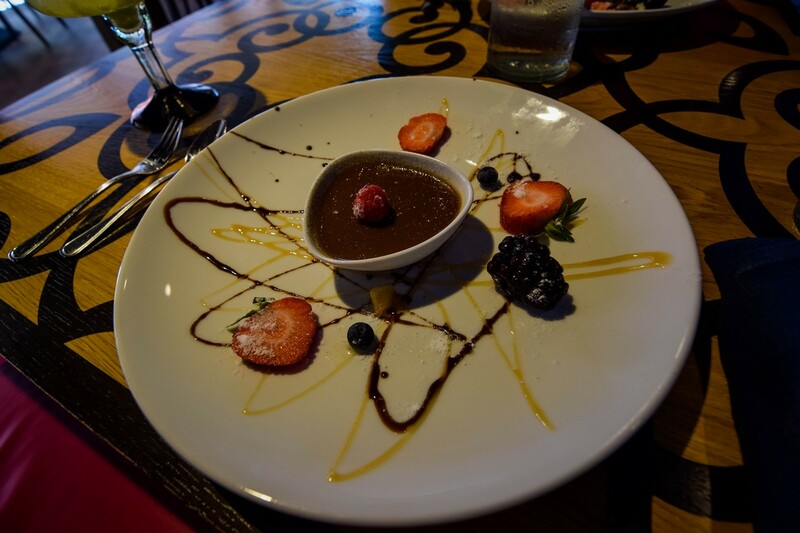 Without a doubt, the overlooked options on Sabor's menu are the sides and desserts. It may be difficult to leave room for them, but they are really quite good choices. The yucca fries and banana and chocolate chimichanga are the standouts. Sabor Taqueria lived up to my expectations from dining at Sabor Modern Mexican, but there were a few subtle differences between the two that I picked up on that I think leaves me preferring Sabor Modern Mexican just a bit. 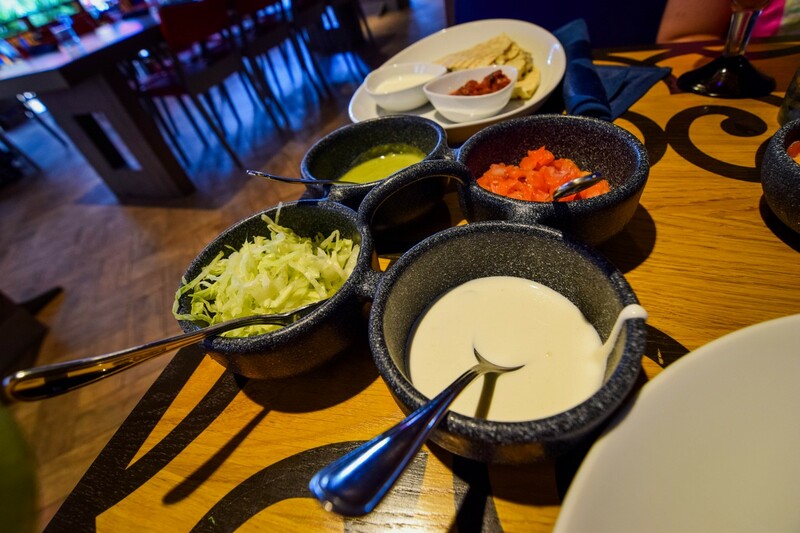 The best thing about Sabor Taqueria is the fact it is priced a la carte, which means it is much easier to stop in for guacamole, a margarita and maybe an entree without committing to the full cover charge price found at Sabor Modern Mexican. I mentioned earlier that I ate at Sabor on four separate occasions while on Allure of the Seas and I can guarantee you that would not have been the case if it had a cover charge. Being able to drop in and have a drink with chips or just order tacos is a terrific perk. 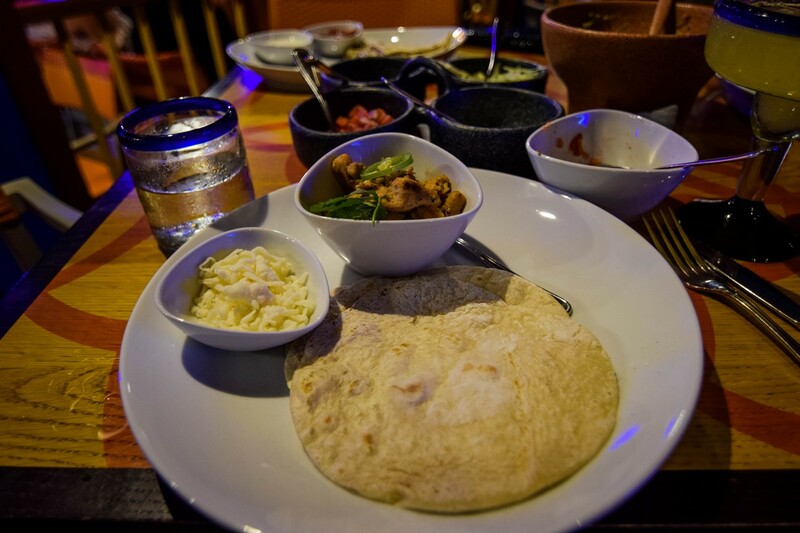 The reason I give the edge to Sabor Modern Mexican are some of the minor differences between the two experiences. I like having the tableside margarita option and the food menu at Sabor Modern Mexican is larger. Plus, I think I like the atmosphere of the enclosed restaurant a bit more than the open air option. 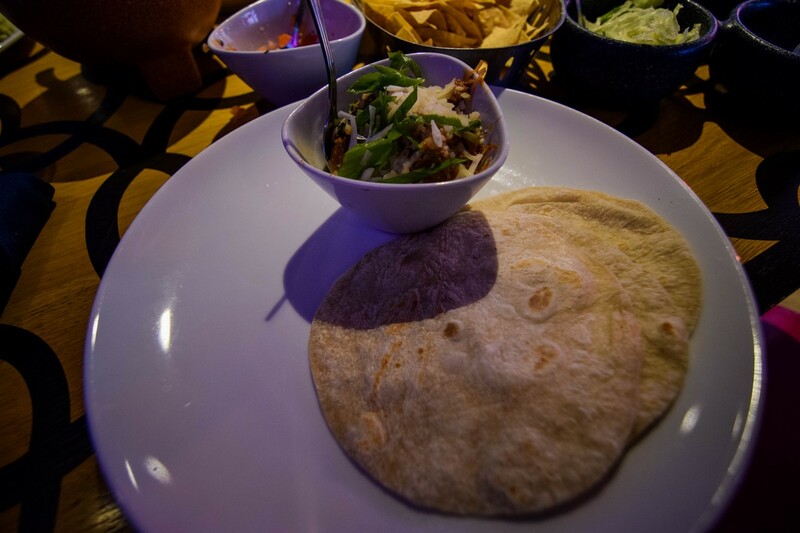 Nonetheless, anyone going on Allure of the Seas should strongly consider Sabor Taqueria because it is priced reasonably and if all you do is order the guacamole, a few drinks and tacos, you would still be quite happy with the experience. For anyone with an unlimited alcohol package, Sabor is a great choice because of how many drink options there are and many are covered by the drink packages. 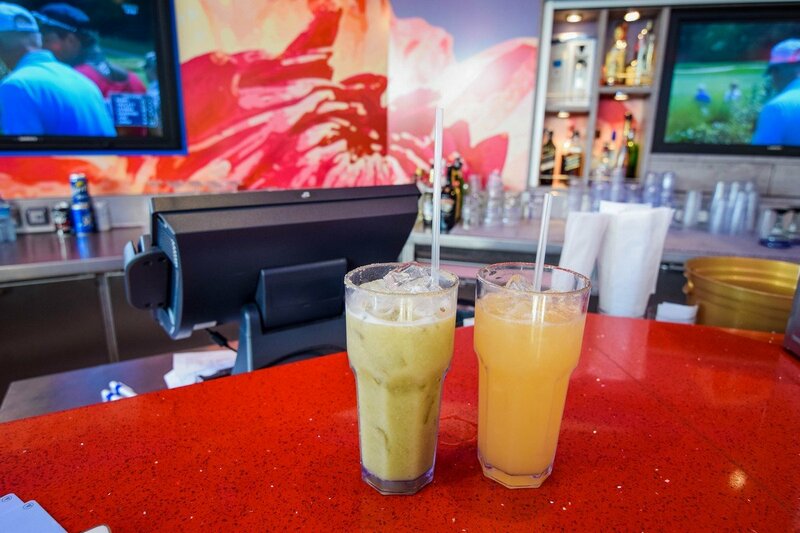 You can really get value from your drink package by using it at Sabor. 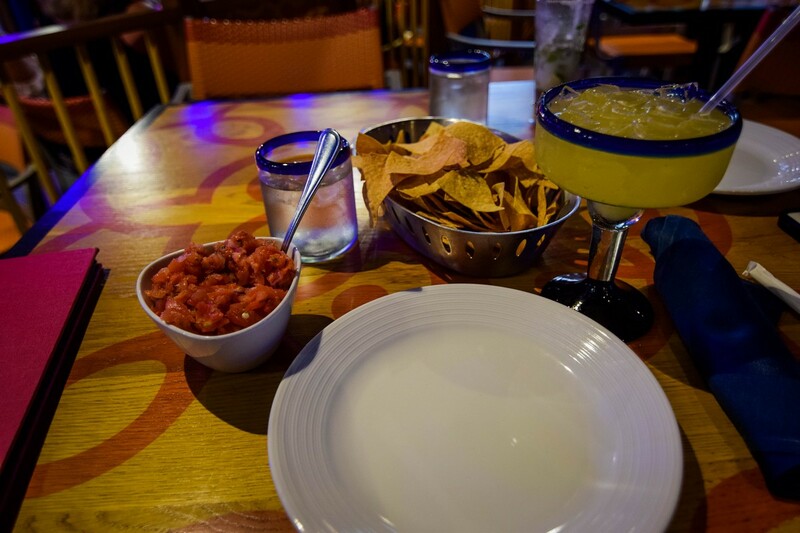 The bottom line is dine at Sabor Taqueria for great tasting Mexican food and drinks, especially if you are looking for somewhere quick and easy to get in and out.